I love simplifying my life. It makes me more effective and life less stressful. It makes me calmer and happier. 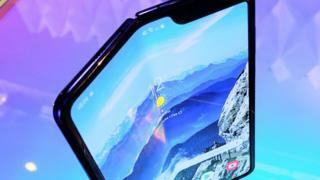 Samsung has postponed the release of its folding smartphone, days after several early reviewers said the screens on their devices had broken. The company said it had delayed the launch of the Galaxy Fold to “fully evaluate the feedback and run further internal tests”. In April, several early reviewers found the display on the Galaxy Fold broke after just a few days. Samsung has not said when the £1,800 device will go on sale. A new launch date will be announced in the “coming weeks”. In a statement, Samsung said it suspected the damage experienced by some of the reviewers was caused by “impact on the top and bottom exposed areas of the hinge”. It also said it found “substances” inside one of the review devices that may have affected its performance. Launch events due to take place in Hong Kong and Shanghai this week have also been postponed. 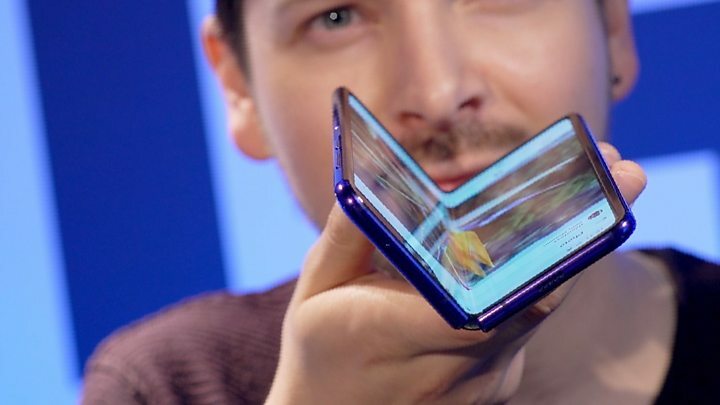 The Galaxy Fold was due to be released in the United States on 26 April, and in the UK on 3 May. The South Korean tech giant has said it is investigating what went wrong with the broken review units. In some cases, reviewers had peeled off a layer of the screen’s coating, mistaking it for a disposable screen protector. “We will also enhance the guidance on care and use of the display including the protective layer,” Samsung said in a statement. Chinese rivals Huawei and Xiaomi are also developing foldable smartphones, but neither company has announced a release date yet. A phone priced at £1,800 – or $1,980 in the US – was never supposed to be bought by the masses. But the launch of the Galaxy Fold was meant to showcase Samsung as an innovative and forward-thinking gadget maker, and draw people into its stores. Now it is turning into a bit of an embarrassment, evoking memories of another botched launch: the “exploding” Galaxy Note 7 smartphone. Samsung has been in a race to launch a folding device ahead of Chinese rival Huawei, which has announced its phone but not let reviewers take one home yet. Both manufacturers say their folding screens can be opened and closed more than 100,000 times without breaking, based on laboratory tests. But in the real world, reviewers have destroyed Samsung’s device in less than 48 hours. Perhaps the Galaxy Fold needed a little longer in testing.